Lacquer: The Best Medicine! 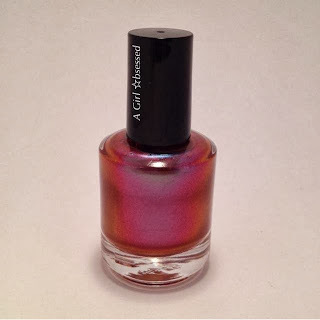 : Nail Art Giveaway from Possibly Polished! Lets celebrate the start of the holiday shopping season with a giveaway! I want to take a minute to give a premise for this giveaway and first, it is my birthday month, who needs more reason than that to celebrate amiright? But this year is also the 5 year anniversary of when I stopped biting my nails. Nail polish and some pretty flower nail stickers were what really helped me over come that bad habit. So myself, some other fun bloggers and indie polish makers have come together to bring you an awesome giveaway. 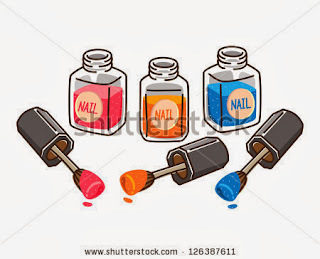 Completely themed around Nail Art!! 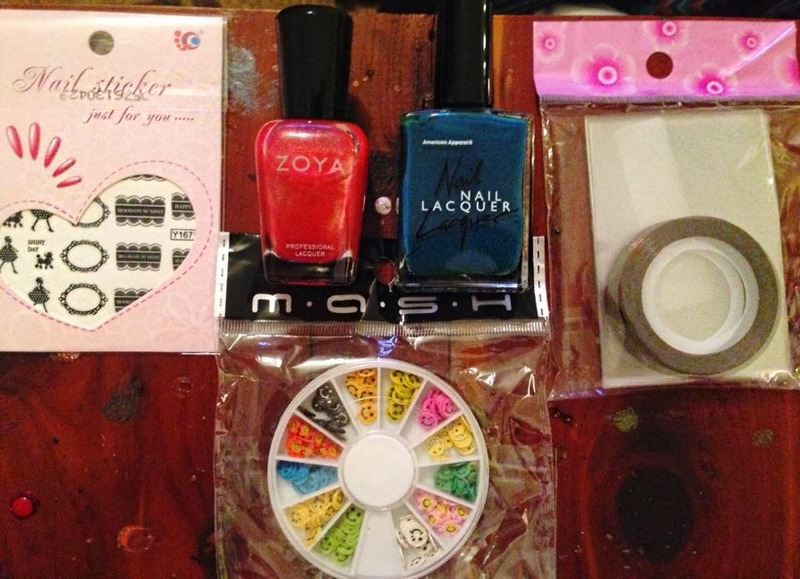 Each bloggers prize consists of some type of nail art item or tool and each Indie maker is offering a great assortment of glitter and duo chromed polishes and even polishes for water marbling!! Read the rules and good luck! No cheating--We're all friends here, right? Must be 18 or older to enter (unless you have parental permission!). (Sorry my friends! If you have someone in the US willing to accept your prize and forward on to you, enter away!). Be honest as we will verify entries and disqualify cheaters! This giveaway will be posted on blogs and Facebook pages and twitter, ect., but is in no way associated/ sponsored with/by Facebook or any blog platforms or other social media accounts. Now on to the good stuff! Here is what you can win! Color Show Polka Dot glitter topper, Broadway Nail Art Stickers, an Essence Dotting Tool, a SH Butterfly Nail File, 2 rolls of Striping Tape, an Orly High Shine mini top coat and an Art Club Striping Polish! AGO's prize is Bipolar Bear, a lovely duo chrome polish! 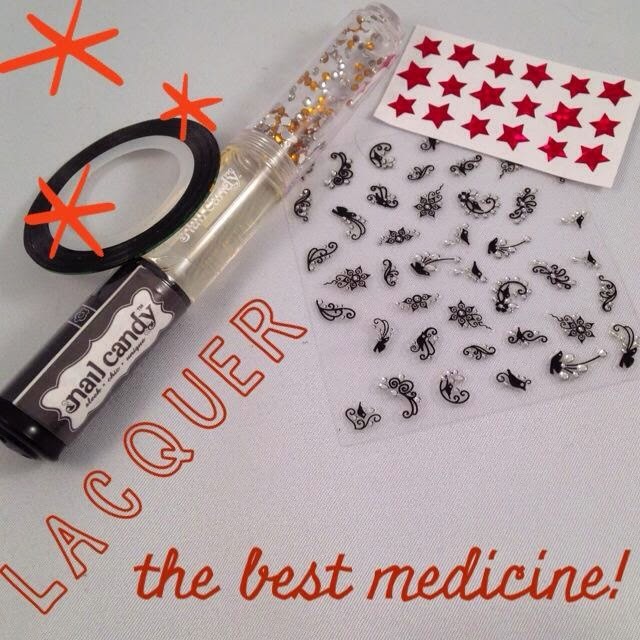 Lacquer: The Best Medicine's prize includes a Nail Candy stick, 1 roll of striping tape and 2 sheets of cute nail stickers! Carpe Noctem is offering one (1) Full Size polish, winners choice AND one (1) of her GlitterSlayer Topcoats. Wikid Nails has a really cool prize! 2 dropper bottles (7.5ml) filled with Wintertime Teal and Intergalactic Blue that are perfect for Water Marbling (left photo)! No spill! 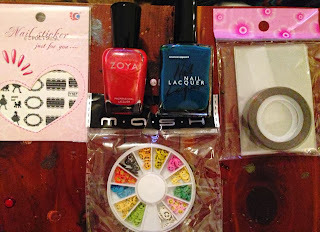 Jenna is including Zoya Lana, American Apparel Peacock, a package of striping tape, some super cute and fancy nail stickers and a package of cute smiley faces for nail art! Thanks everyone for the awesome prizes! Enter using the Rafflecopter Widget below! Good Luck Everyone! I wish I had read your comment...I just spent half an hour searching and finally found her LOL.